it's all geek to us. I love crossovers. 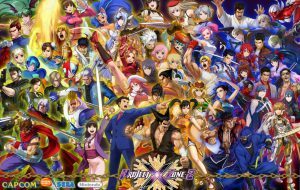 Whether it’s Super Smash Brothers, Capcom vs SNk, King of Fighters, Warriors Orochi, Marvel vs Capcom, Tatsunoko vs Capcom, or really, anything vs Capcom, there is just something special about taking players from one company and either putting them against or teaming them up with characters from another company. Thus, when Project X Zone hit the Nintendo 3ds in 2012, bringing together characters from Capcom, Sega, and Namco, I had to check it out. I was not disappointed. Of course in 2015 when a sequel was announced with a 2016 release date, that became an instant must-watch game for 2016. Again, I was not disappointed. Hope you had a Merry Christmas poweteers! As our gift to you we’ve packed in some of the biggest fighting game news from this past month. Some of these you might have seen before, some you might not have. Check after the jump to check it out. Also, be here next week for New Year’s beatdowns, where we take a look at some of the worst, and barley adequate, fighting games in existence. Akuma Comes to Tekken 7! Pre E3 Speculation: Transformers Brawler, Plus Ryu and Roy coming to Smash Brothers? 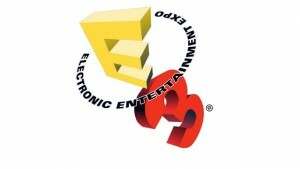 As you know, next week is E3, the wonderful time of the year where we get hyped up for games that we won’t see for at least another 4 months. We can only guess what surprises that Microsoft, Nintendo, Sony, along with several major publishers and developers will have in store for gamers this year. 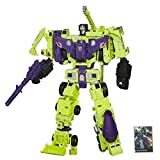 However, today sees a couple of huge potential leaks: One, being a cel-shaded Transformers brawler and the other being new DLC for Smash Brothers. Unless and until they are confirmed at E3, these two rumors should only be taken as little more than speculation, even if we have screenshots. 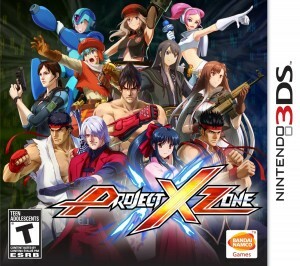 A rumor had been flying around for the past few days that Project X Zone 2 was in development. Not only is this rumor true, but PXZ2 will be hitting the U.S this fall, same timeframe as the Japanese release. Like its predecessor, PXZ2 will be a crossover between Sega, Capcom, and Namco which will be hitting the Nintendo 3DS. The developers must have read my mind, because Kazuma Kiryu and Goro Manjima from Sega’s Yakuza series will be among the new characters in this entry. Tekken villain Kazuya Mishima and Devil May Cry’s Vergil look like they’re also going to be joining the fun. Leon Kennedy, Strider, and so many others will be a part of this game as well. Resident Evil’s Chris Redfield and Jill Valentine, Tales of Vesperia’s Yuri and Flynn, and Mega Man X and Zero will be among the returning characters. What other franchises will have characters joining the fray? Streets of Rage? Final Fight? Tales of Xilla? Rolling Thunder? Remember Me? Dragon’s Dogma? Dark Souls? Aww, I’m getting too ahead of myself, I need to calm down. Just check out the trailer above and let us know who you would like to see. This spiritual successor to the Japan only Namco X Capcom brings together characters from 3 different companies to do battle in Strategy Rpg Greatness. An ancient treasure has been stolen, causing rifts between worlds, bringing together characters from several different franchises. However, the storyline is all just an excuse to bring over characters from various Sega, Namco, and Capcom franchises. It’s not just popular franchises like Street Fighter, Resident Evil, and Tekken either (although those are included) but there are characters from God Eater, Sega’s Shining Force, Sakura Wars, and even Dynamite Cop to name a few. 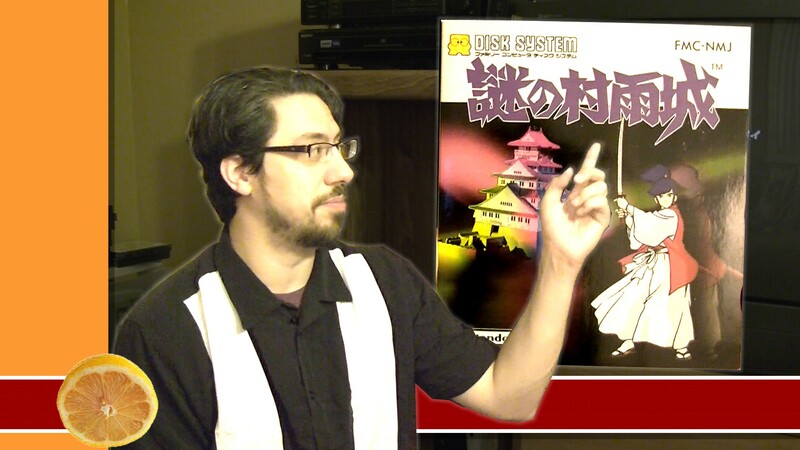 Since you’ll probably be unfamiliar with most of the characters you’ll encounter, the in-game Crosspedia tells you everything you need to know about whoever shows up. Characters are grouped together in teams of two, with some teams containing an optional support character. When you engage an enemy in battle, it’s a side scrolling fighting game style battle sequence when you try to do as much damage to the enemy as possible before using up all your moves. You can even call in a nearby team and support character for assistance. The game is incredibly casual, as a character’s turn doesn’t end until you end their turn manually or they engage an enemy. You can move freely within your characters allowed move area, and use items as many times as you want. If a character is knocked out, reviving them is as simple as going next to them and saving them. During the game, you’ll hear tunes from each of the games represented, and you’ll travel to somewhat familiar locations. While the storyline doesn’t make any sense at times, you’ll have to much fun with the characters to care. Fans of strategy RPG games will want to pick this game up, and if you’re familiar with any of the characters represented, you’ll enjoy the game even more. Click “more” for the show notes! Street Fighter X Tekken adds Mega Man, Pac Man, and More! Adding Cole from “Infamous” as a Playstation exclusive character was a cool idea. He could work as either an SF or Tekken character. But Mega Man from the original NES box art? That is crazy! Pac Man in a mech suit? CRAZIER.